Solid Energy, the state owned coal mining enterprise currently facing financial peril, continues to blame its collapse on 24 year old junior accounting intern, David Fairbrother. 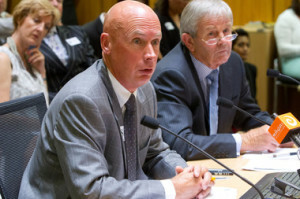 Former Solid Energy boss Don Elder was grilled by a number of MPs before Parliament’s commerce select committee last week, at which time he explained that Solid Energy had been hit by the “perfect storm” of international economic circumstances and David’s sheer incompetence. “In the second half of 2012, last year, the coal industry around the world received a stunning blow from an unprecedented collapse of international coal prices, and also from David’s inability to manage the long-term strategic planning of the company’s investments” said Elder. David, who was not invited to speak to the select committee last week, was interviewed this morning by Rachel Smalley on TV3’s Firstline.